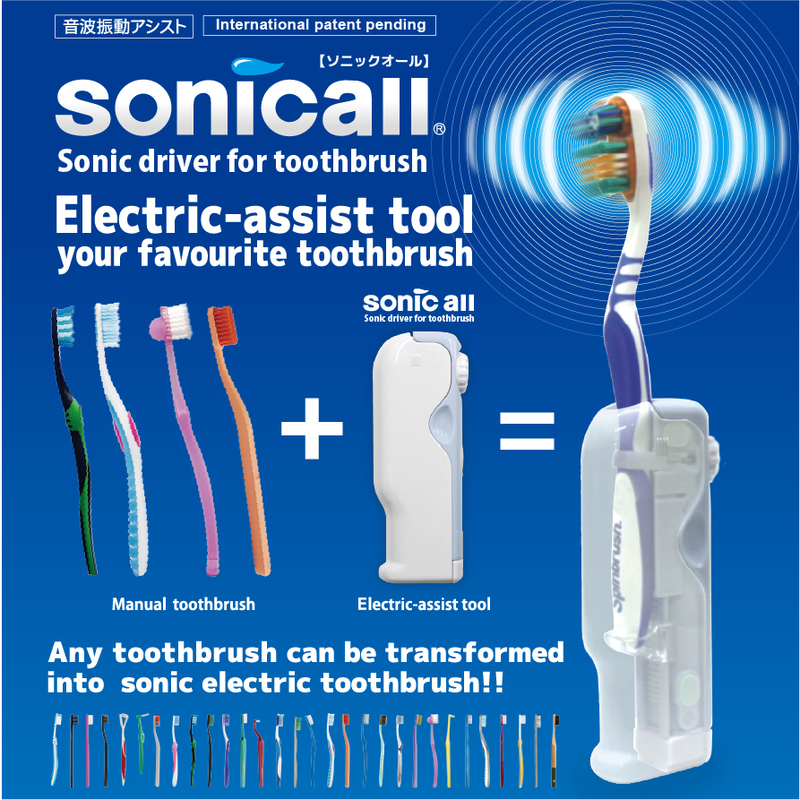 Sonic driver for toothbrush | sonic all | Daisaku Shoji Ltd. Difficult or almost impossible to find the ideal/best brush design for every individual oral care needs. It is due to limited selection of brush filament material, size, softness, etc. It requires trained-skill to efficiently remove plaque from the gap between teeth and gum. Requires more time (10minutes recommended by dentist) to complete proper teeth-brushing with manual operation. Sonicall combines the benefit of both manual hand brushing and electric toothbrush to give you an ideal solution. 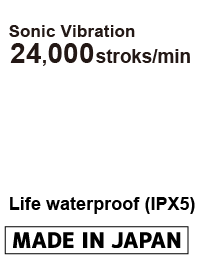 Co-Developed with dentists and produced in Japan. Accommodate most of the toothbrushes and convert them into sonic-vibration toothbrush in seconds. Affordably priced so that anyone can get one for yourself, family and friends, etc. Operates with AAA battery and could last for 2 months. Ideal for home-use and as a travel companion. All family can use their favorite toothbrush and turn it into electric toothbrush with one sonicall. We provide the best solution for you, from Japan.